What does this time of the year mean to me? 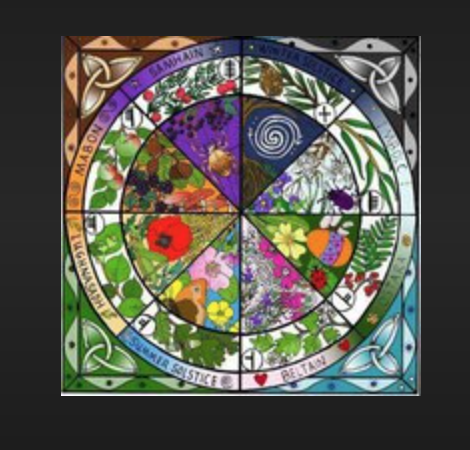 The next question in the pagan challenge is concerning what this time of year means to me. At the time of writing I am on the cusp of February becoming March which is usually a time that has me celebrating in a small and unobtrusive way. The reason for this being that for many years I really did not like February and even now it is my least favourite month so I am usually quite happy when it has ended. I must say at this point that February has never done anything to upset me, its just that Imbolc never seems to live up to the promise of the beginning of the spring, a concept that in Ireland is held strong despite evidence to the contrary, and although the shortest month it always seems to take forever to pass. A couple of years ago I discovered some information about February having been a time of purification and this understanding has certainly helped me to dislike the month a little less. This year thoughI must admit that it has been different. From November until the last few weeks it has rained pretty much consistently, we have had floods, washed away roads, gale and sometimes even storm force winds and the only thing to do has been to hibernate. Recently though we have had blue skies, sunshine, getting out for a walk, visiting the beach, just lifting our heads out from under the duvet has been possible. 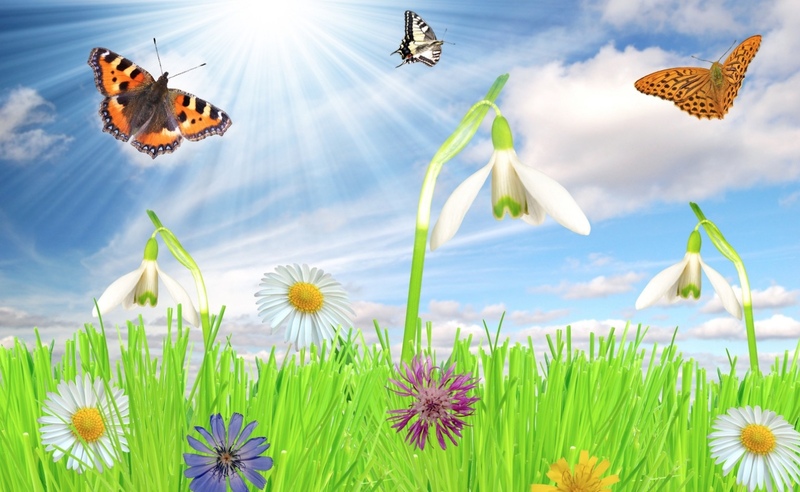 Plants and shrubs are showing signs of new life, primroses, crocuses and mini iris have been blazing in all their glory and we have even managed to do some tidying of our hedges before the birds being nesting. This is also the time of the year when we drive to the next county to see young lambs as we live in cow country not sheep, but this year we have a field of them just up the road which is lovely. So this year February really has felt like the start of spring even taking into account the snow we had on Friday night. Today is 29th and it is raining, tomorrow is the 1st March which where I come from would be the start of spring, but the forecast is for rain and the week ahead isn’t looking good at all. Strong winds are forecast so the ‘In like a lion, out like a lamb’ might well be true this year. 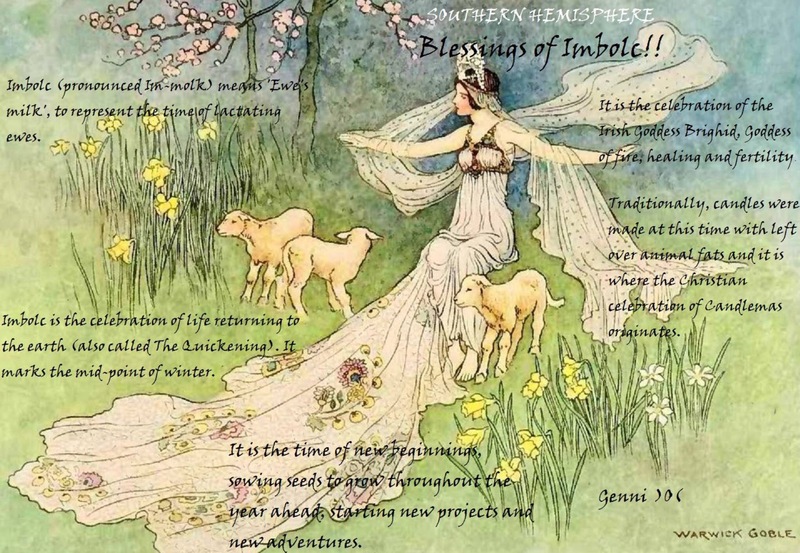 Whatever it turns out to be Spring Equinox, the second of the spring festivals and a time of balance isn’t far ahead. 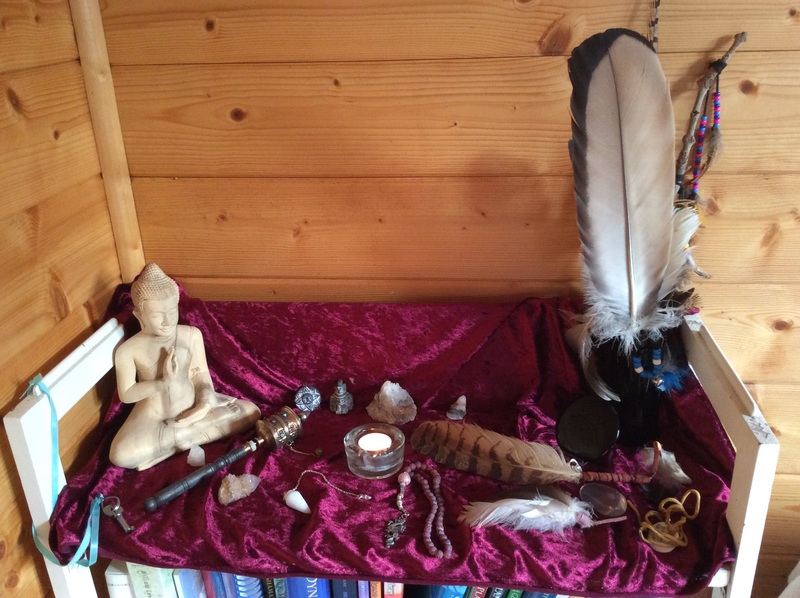 Although I haven’t written another book yet I do write a column ‘Shaman Moon’ for the magazine Indie Shaman which if you are interested in a shamanic lifestyle is the best shamanic magazine around. Yesterday in my post about altars, shrines and sacred places, shrines didn’t really get a mention. Today I thought I’d share with you the little that I learnt about shrines when I was fortunate enough to visit whilst in Japan last year. There I learnt that the difference between a temple and a shrine was that a temple contained a representation of something whereas a shrine didn’t. 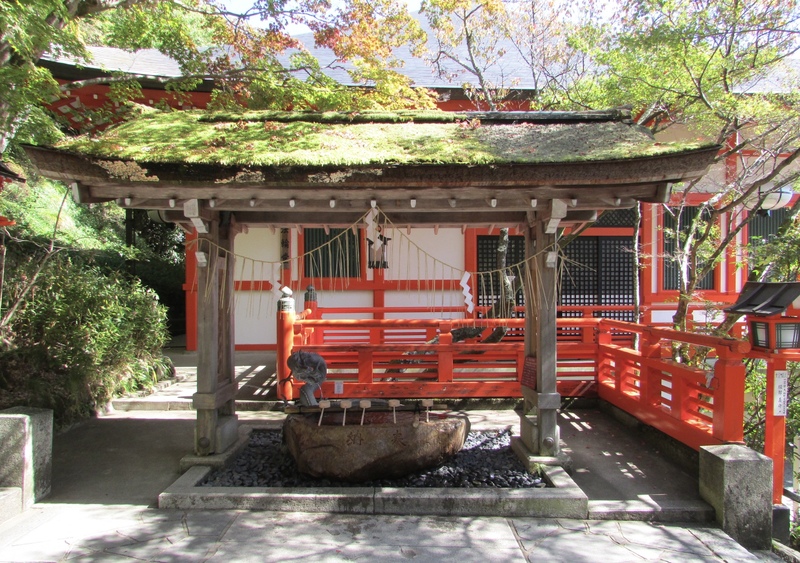 I am sure this is incredibly simplistic but basically, in Japan at least, a Buddhist Temple contained a representation of Buddha, one or more altars and could be entered, whereas a Shinto Shrine was simply a building that housed the spirit of whatever the shrine was dedicated to. 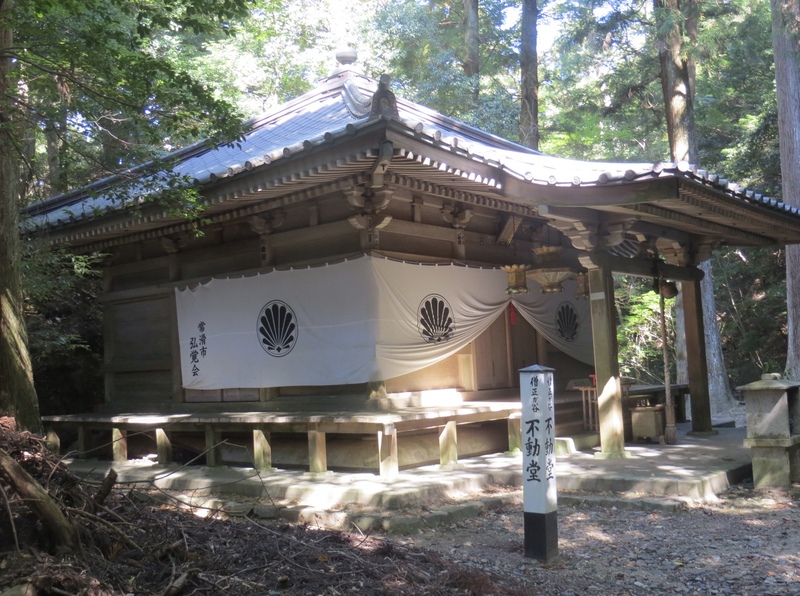 Although the area around a shrine could be entered the shrine itself could not be. 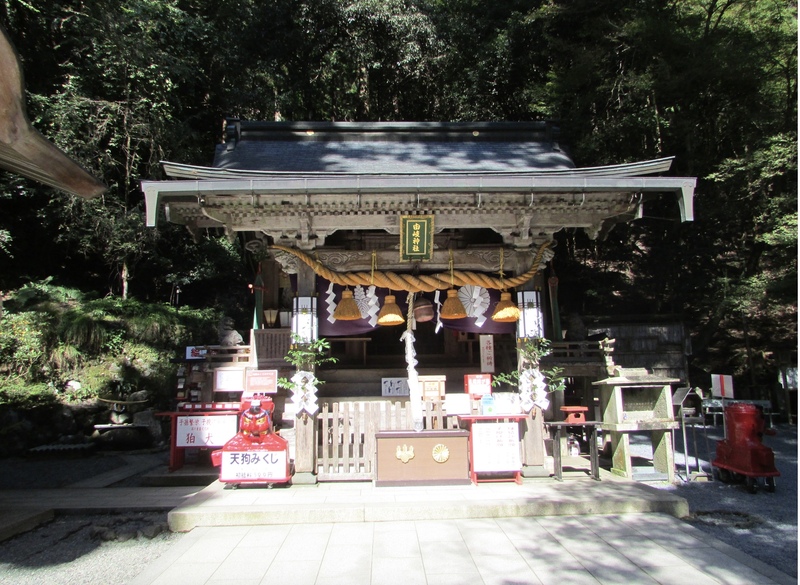 Although there are shrines everywhere in Japan the sacred mountain of Mount Kurama near Kyoto is dotted with them all dedicated to an individual spirit, often one connected with an aspect of nature, which is itself at the heart of Shinto. 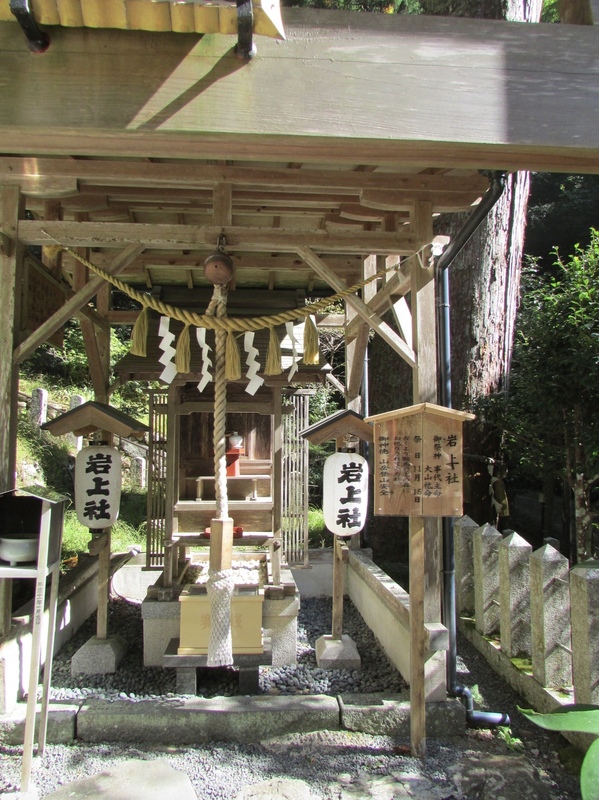 All of the images here are a small selection of the shrines on Mount Kurama. Do you have an altar, shrine or sacred space? I do have an altar but it’s not a worshiping at altar, more somewhere I leave some of the objects and tools that are important to me. At the moment on my altar are; a Cambodian Buddha, a Tibetan Prayer Wheel, some stones (earth), feathers including a condor and an eagle feather (tools but also air), shells (water), a tea light (fire) fetishes of a sun and a condor gifted me in Bolivia and a key. As someone who is probably best described as a shamanic pagan I don’t workship gods or goddesses and so have no need of an altar or shrine dedicated to anyone. My belief is that everything that exists has a spirit and so I connect with the spirit of whatever or whoever I am working with, usually in non ordinary reality, but sometimes in this one. I do though use sacred space to work in if I feel it is needed but again this isn’t a fixed ritual as I also believe that we carry sacred space within us and so wherever I am working is sacred space. Are you in or out of the closet? I had to laugh when I read the second blog prompt as I don’t really know how to answer it. I don’t think it was ever a case of being in or out of it really. I think for me it has been more a case of things shifting slowly and then realising where I’d ended up. As a child I had a very mixed ‘religious’ upbringing anyway. Christened in a high Anglican church, Salvation Army Sunday School, then a house move and onto Congregational Church Sunday School as that was in the morning and we went out in the afternoon. 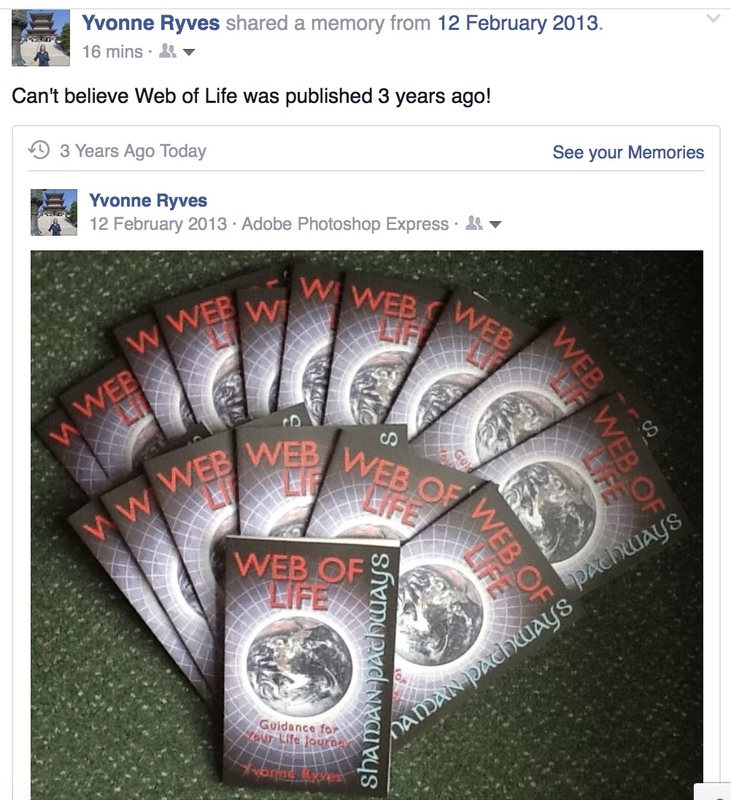 Here I lucked out as the whole ethos was about taking what worked and leaving what didn’t. I grew up with the understanding that the bible was just a collection of stories, a way of explaining. The particular church I attended was open minded and inclusive so as a teenager I visited almost every denominational church that there was as part of the youth group. Nothing was excluded. Finding a shamanic path shifted me still further although I was horrified at first to see shamanism listed as an aspect of paganism for at that time I hadn’t made the connection all. Of course since then there have been more shifts and studying with the OBOD is one of these. Where I live, in an area where most people are Catholic, because I don’t go to church they assume I am protestant. If they asked I would tell them and where it comes up in conversation I do say. So having waffled through that, sorted out my thoughts, I suppose the answer is yes, I’m out, if people ask. Despite being in the midst of the eight storm of the winter, Storm Henry, the winds were blowing over us, the sun shone and the garden was calm and sheltered for once. Outside in the fresh air it was warm and undoubtably the nicest day we have had for a very long time now. I should have been hoovering the house, which had been the plan, but instead having hung the washing out in the fresh air, well pegged on I might add, I pottered around collecting up the branches of our ash and hawthorn, branches that had been given up by them none of the other storms. I broke branches into smaller pieces and filled not one, but two large containers of kindling for the fire. Other years it has been far less clear in February that this is the start of anything yet alone spring, but it was easy today to feel the turn of the wheel, to know that the seasons are shifting, to be able to see that this is a time when things to germinate, maybe break through the surface, ready to grow when the wheel turns again.